Fantasy leagues have been on the rise since past 2 years in the country. Their presence can be felt by the fact that the fantasy league users have grown from just 2 million to 20 million in the country, in just a span of 18 months. According to the Fantasy Sports Trade Association, the users figure would be growing to 100 million by 2020. This is a good sign for the internet industry in the country where the number of internet user have crossed the 500 million-mark in 2017 out of which 400 million use it on their smart phones. The penetration has been growing with telecom companies focusing on the mobile internet packages for the general public and this provides an opportunity to the business minds of the country to cash in on the opening by adding new avenues to the sports. Indian Premier League have grown in stature over the period of 10 years and every year the broadcasters have come up with something to keep the engagement levels high. This has given the in road to fantasy leagues to make a mark on the sports industry and give the viewers new avenues to engage with their favorite sports. Now users have the ways to use their knowledge of the game to earn some good money along while keeping the excitement high. The supreme court ruling of distinguishing the fantasy leagues from gambling on the virtue of skills involved have given a push to the industry. Back in 2011 there was only one company dominating the 80% of the market, Dream 11, but now in 2018 we have more than 80 companies in this sector and more and more coming up every day. 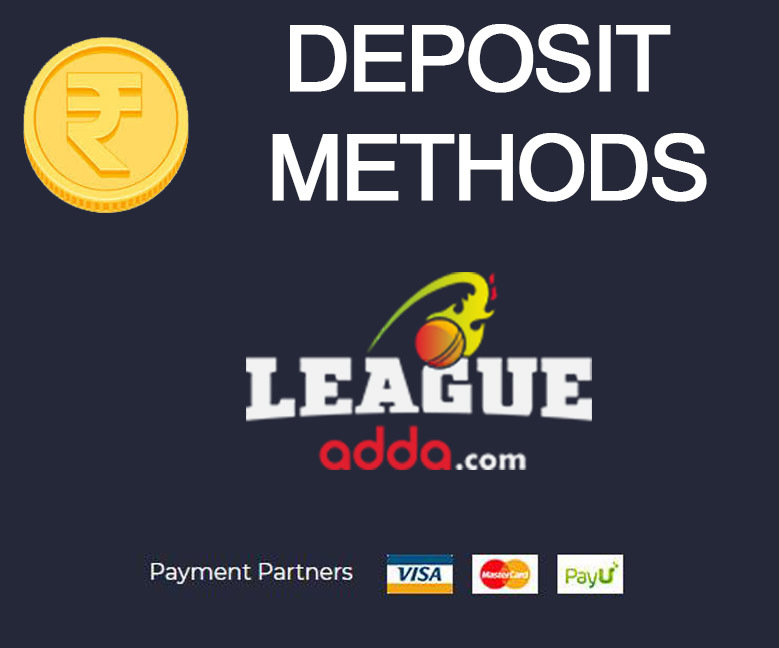 LeagueAdda is a fantasy sport platform providing virtual leagues in cricket to play with. 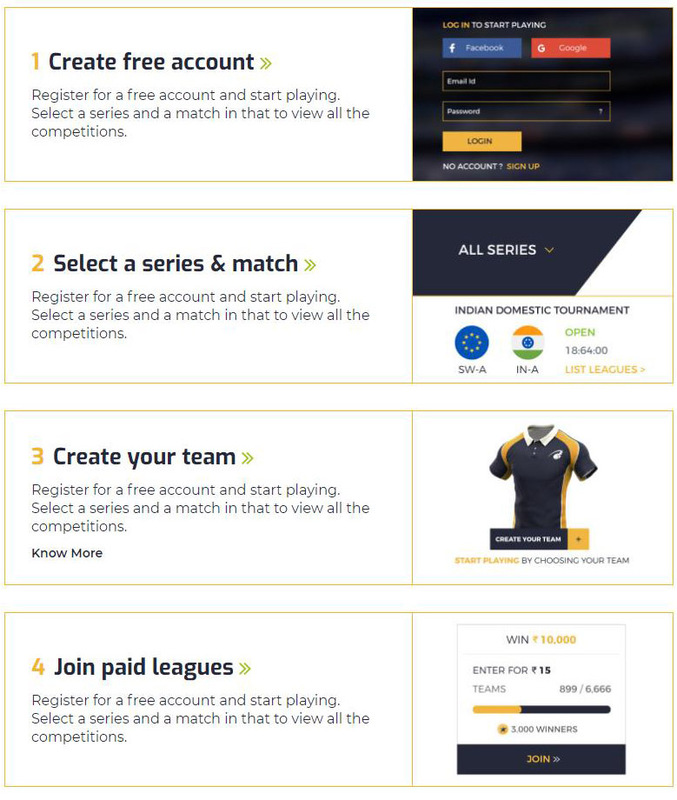 Fantasy Cricket works on the pretext of the real-life performances by the rea-world players affecting the virtual teams created by the users. Fantasy sports user created a virtual team on a platform comprising of real-life players and these teams then earn points based on the performances of the real life conterparts. The better the performance, the more points earned by the users and the ranking of the team decides on the winnings. 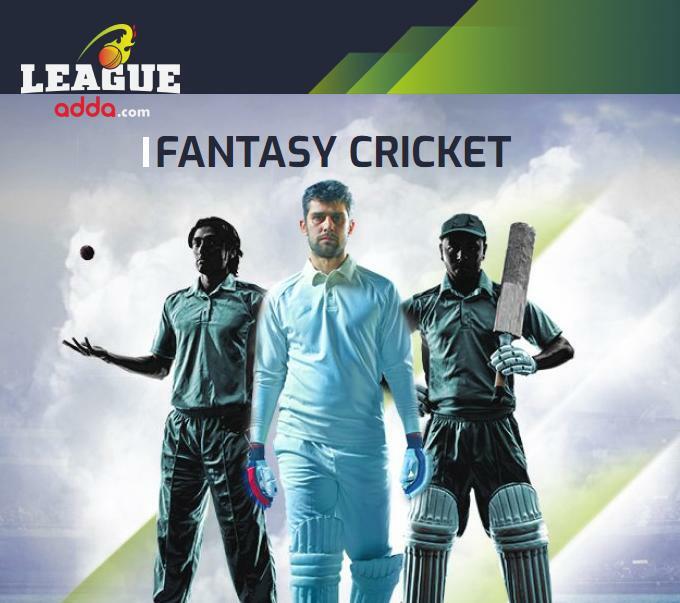 LeagueAdda provides the fantasy leagues for Cricket in India. 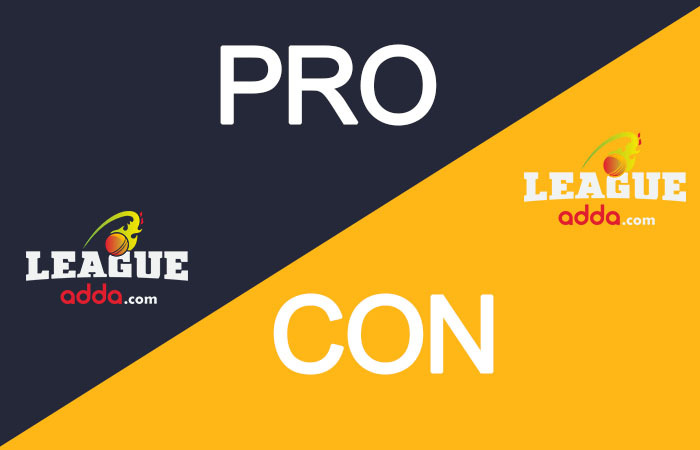 Currently the platform provides leagues to be played in Indian Premier League 2018. 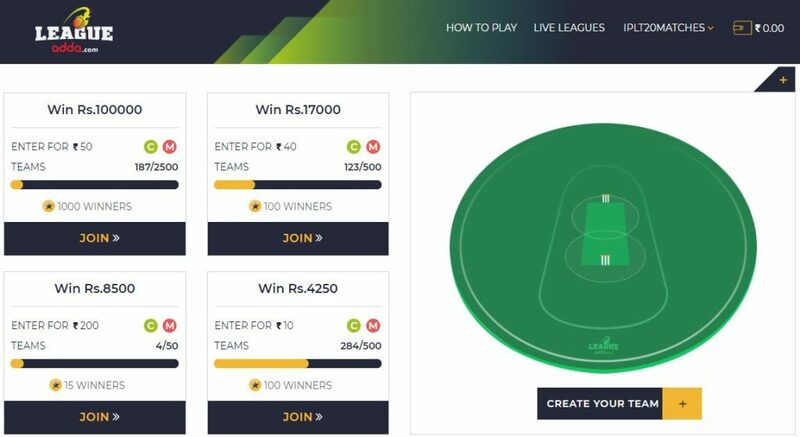 There are numerous virtual leagues active on the platform for each cricket match being played and users can form team to join these leagues and earn money by winning. There are different forms of the league available for users including some where the users can enter with multiple teams to increase the chances of winning and earn more money. Sign up on the platform: The first step to be part of the fantasy sports extravaganza, users need to sign up on the platform. There are various methods available to sign up including through a Facebook or Google account. If one does not want to utilize these services, they can fill in the details manually and get going. Verify the account: Since most of the leagues available of the platform needs and entry fee, one has to add money to their account. However, to add cash to the account, users need to verify it first. For verification purposes, users would need to verify their Mobile No. and Email ID through an OTP system. (Hint: First time users get Rs. 25 cash bonuses for each verification). Choose the match: Now, users would need to select the cricket match scheduled to be played for the virtual league. Select the league: The tab “Live Leagues” shows all the live leagues going on the platform along with their entry fee and winning prize. There are also limitations on the number of the teams that cam participate in the league. 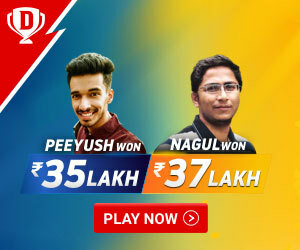 The total winnings are divided amongst a fixed number of winners according to the ranking after the completion of the match. Create a team: Choose from the list of available players in the game and for a team as per the rules. Users need to select wicketkeeper, bowlers, batsmen and all-rounders for each game and then appoint a captain & a vice-captain. Confirmation: After selecting the team, provide confirmation for joining the league and the entry fee will be deducted from the user account. Practice Leagues: These leagues do not have any entry fee and cash winnings. They are devised to familiarize users with the use of website and hone their skills in the game of cricket. Confirmed Leagues: These are the ones which will continue to run even if the basic requirement of number of teams is not fulfilled. They are marked with a letter ‘C’ on top right corner of the league title. Multi-entry Leagues: These leagues give the freedom to user to join a particular league multiple times with different teams. These are marked with letter ‘M’ on the top right corner. These types of leagues provide multiple chance for user to win the money. A maximum of 4 teams can be used to participate in each of the multi-entry leagues. Normal Leagues: The leagues need a particular number of teams to be registered to be valid for playing. Also, they restrict user to participate only once. Users needs to keep in mind the rules while selecting the players for the team. Bonus Players: This option let the user select one more player than the maximum allowed per player type. # What is the scoring system? The scoring system for the teams that plays in the league is fixed. As the real-life performances of the players affect the points earned by them for the virtual teams, the points are divided into various factors that come into play. Below is the list of points awarded for different parts of the game. Users get 2x and 1.5x for Captain and Vice-Captain respectively appointed. Points deducted for strike rate would apply only for below 70 runs per 100 balls. To play the leagues with cash prizes, users need to pay the entry fees. This entry fees can be paid through either cash bonuses or the cash deposited into the account by the users. The portal supports payments from Indian bank accounts through the online payment gateway provided by PayU Money. The gateway provides the users to add money their account by either using their debit cards or credit cards or net banking. The gateway also used to support PayU Money wallet but it is discontinued by the company in January 2018. Therefore, the only option to add money in the account for now is through your bank only. Cash Bonuses: Users get Rs. 25 as cash bonus when they verify their mobile no. and email ID each for the account. Also, there is a chance to earn cash bonuses by referring friends to the website. For each referral joining the website using the current user’s referral code, both the users get Rs. 50 as bonus. Also, the referrer will get another cash bonus of Rs. 50 when the referral adds money to his/her account for the first time. Another promotional offer currently being rolled out by the company is of getting cash bonus when user add money to their account for the first time. Note: For every league, there is a limit of using upto Rs. 150 cash bonuses as entry fee. After the users have earned enough innings in their account, they can with draw money from it to their bank account. However, before the first withdrawal users need to get them verified. As there is a transfer of money involved in this, users need to verify themselves for any banking transactions. In this pursuit, the website will ask for the user’s PAN Card and Photo Identity Card details. After the verification is complete users can transfer the winnings their bank account. Note: A minimum of Rs. 200 can be transferred to the bank account in each transaction. Also, a TDS of 30% is deducted for every winnings over the limit of Rs. 10,000. Customer Support team of the company can be contacted through email at [email protected]. Also, the website provides for live chat box that will take the details of the user and complaints. The company then reach out to the users with the resolution of their queries. 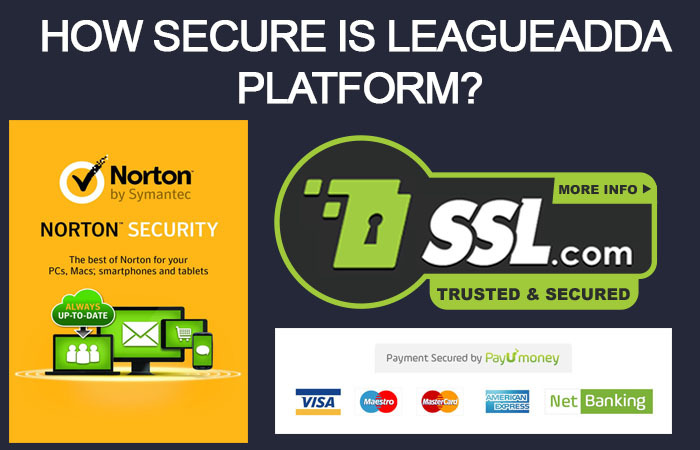 # How Secure is LeagueAdda Platform? The platform is quite secure in terms of financial transactions being processed on the website. The company takes the services of third party payment gateway “PayU Money” and it is protected by 128-bit SSL encryption. The company also, boasts that it tracks all the activities on the website and any kind of discrepancy from normal setting would lead to suspension of accounts and winnings. The company promises to not to trade the personal details of its users with anyone except the third-parties involved in the functioning of the website. 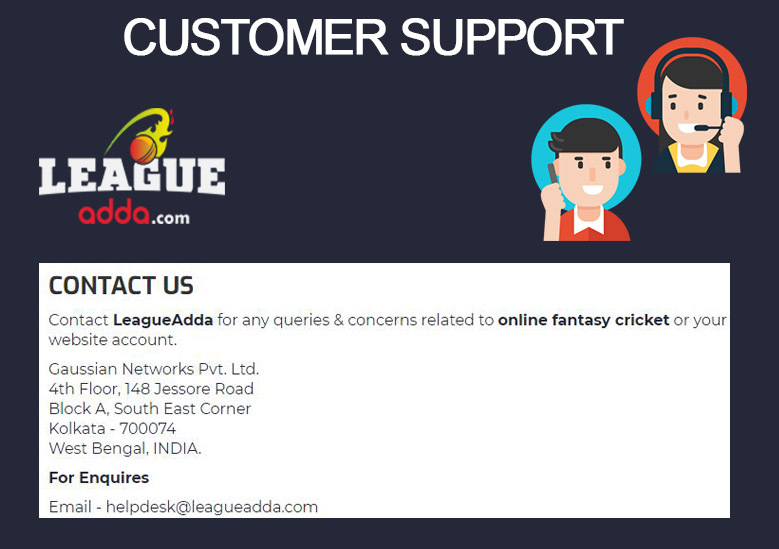 LeagueAdda is a fantasy cricket gaming site for the Indian users only. The company has the vision of revolutionizing the fantasy cricket set-up in India by providing the best experience to the lovers of the game. The company believes in providing a different experience for the fans through various engagement levels and maintain the excitement. Simple and easier to use. Increased winning chances due to multiple entries and large pool of leagues for each match. Extra points for captain and vice-captain. No wallet support to add money from digital wallets. No free leagues to join in. Users need to verify the accounts before adding money and withdrawing money which leads to double verification. Restriction on using cash bonuses.